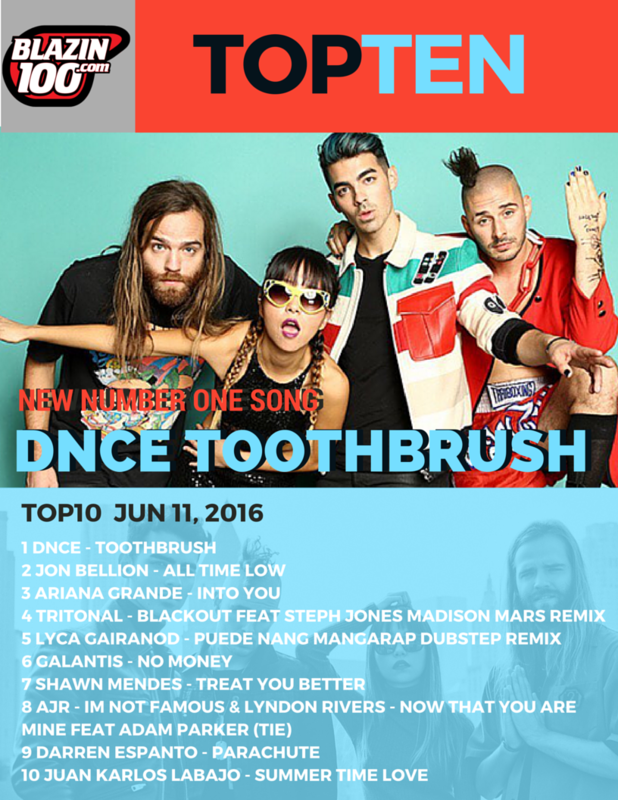 DNCE is the new number one for the Top Ten tally for June 11. Jon Bellion gave way for the band, who now lands at no 2. Ariana Grande zooms to number 3 and new entry Tritonal debuts at no 4. Lyca Gairanod is number 5 followed by Galantis with No Money at number 6. Shawn Mendes is being treated well on its first week at number 7. For the first time though, we had a tie at number 8 AJR and Lyndon Rivers shared the 8th spot. And completing the list are Darren Espanto at 9 and JK at 10.